Chris Higginbotham is a Public Affairs Specialist in the International Trade Administration’s Office of Public Affairs, and a proud UNC alumnus. There I am, walking around the venue for our DISCOVER GLOBAL MARKETS: The Americas business forum, when I walk upstairs and am all-of-a-sudden surrounded by an ESPN crew. There’s a row of radio reporters on the wall next to me. Bright lights, video cameras, and lots of tall kids. 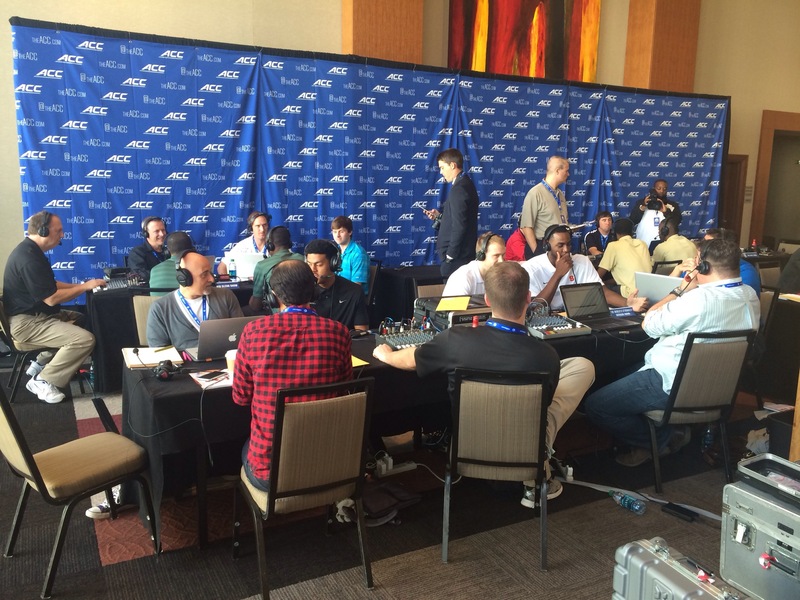 Our forum shared a venue with the Atlantic Coastal Conference (ACC) college basketball media day. Players, coaches, and staff from some of the nation’s top college basketball programs were right above us. And the appropriateness of the coincidence struck me last night, because the ACC is to college basketball what the Americas are to global export markets. I’m an East Coast guy – a North Carolina native – so I don’t say that lightly. Every year, the ACC is among the top conferences in basketball. Just like how every year, markets throughout the Western Hemisphere present some of the best global opportunities for U.S. exporters. And as the basketball teams of the ACC compete through the fall and spring, I think that many of the companies here at DISCOVER will be increasing their sales by competing and winning in markets throughout the Americas. During the next two days, we’ll be helping businesses from 31 states learn about free trade agreements, tariff rates, market opportunities, trade financing, industry trends, e-commerce, and more. We’ll give them the tools they need to gain every advantage when competing in growing markets in the region. We’re connecting companies directly to a delegation of energy industry buyers from Mexico – a delegation of leaders who know that the quality of U.S. products and services is unmatched in the global market. If you couldn’t make it to this event, I hope you’ll follow the action and the updates on Twitter using #DGMCharlotte. You should also look into upcoming DISCOVER events in Atlanta Nov. 5-6, and Minneapolis Nov. 17-18. Being a U.S. exporter won’t get you drafted in the NBA. There’s no uniform, no conference rivalries, and no fight songs. But there is opportunity, and that opportunity can take your business to the next level of success. I hope we’ll see you at an upcoming event, and that we’ll see your business growing through exports very soon.